Friends of Trees was founded in 1989 by a community member who loved trees and started planting them in Portland neighborhoods. Today, Friends of Trees has planted 750,000 trees and is a nationally recognized, regional leader in improving the urban tree canopy and restoring sensitive natural areas—through programs delivered by thousands of volunteers. 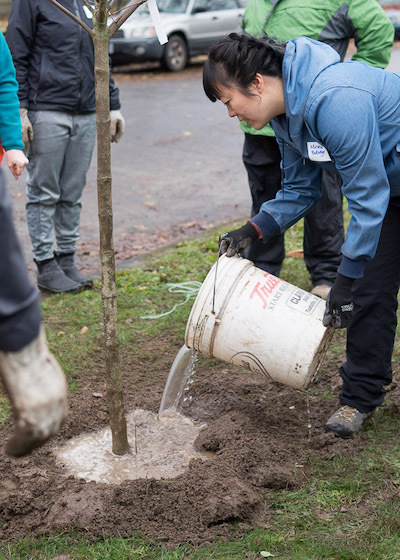 On Saturday, December 1, 2018 a group of Bullseye Glass employees joined in a Friends of Trees event, planting trees throughout the Brooklyn neighborhood in Southeast Portland. 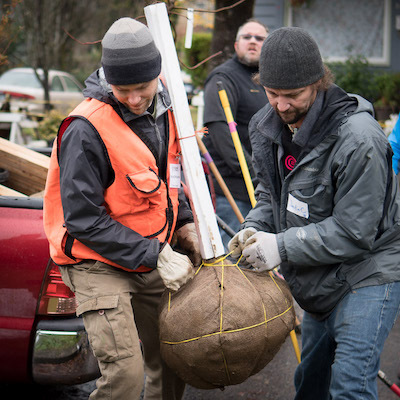 In total, more than 200 volunteers came out to plant trees and green neighborhoods all throughout Portland. Bullseye employees have been involved with Friends of Trees individually in the past, but this was the first year a group of us volunteered. 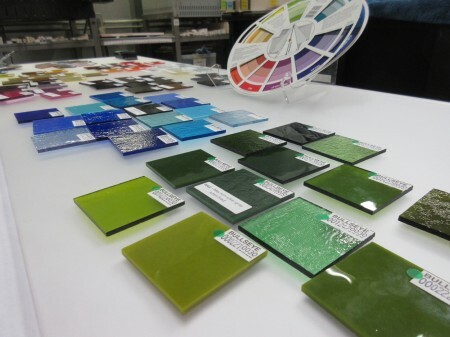 Last week we asked our followers on Facebook to post pictures of their glass studios. And did they ever! Here are a few of our favorites. Sarah Miller Art Studio: "Well, clearly I enjoy chaos." Mary E. Garcia Studio: "All the tables in our gallery are made from Bullseye crates!" 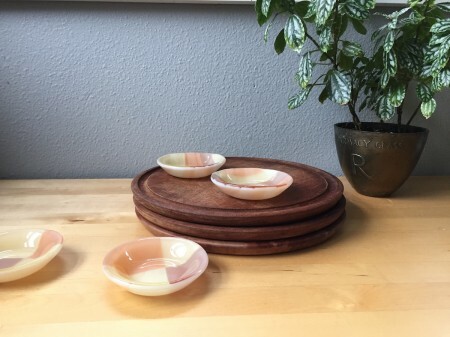 Laurie Glasskicker Freivogl Studio: "Hard to get a good shot of my Kiku Handmade narrow studio, but here it is. The floor is glitter." Carol Carson Studio: "This was taken a couple years ago - it's much messier now." Faye Travel-Iron: "Work in progress!!!!!" Thanks to everyone who shared pictures! Keep up the great work! We set up a color palette exercise in-house to see what would come of it. Open Kilnforming Studio is one of the great perks of taking a workshop here at Bullseye. It’s open to all levels, whether you’re new to glass or have years of experience. Once you’ve completed one class or workshop at a Bullseye Resource Center, you’re eligible to participate in Open Kilnforming Studio. We’re pretty into these little dishes. The form is functional, small and right at home in the kitchen, at the dining table or on a nightstand, dresser or desk. Nice for salt, jewelry, coins or other small items. Great as a set or as a stand alone object. 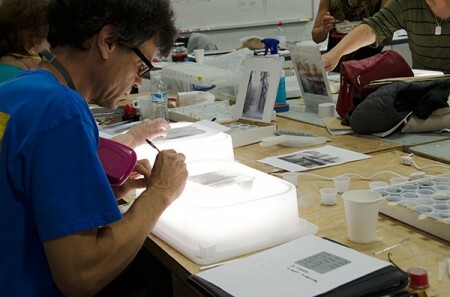 Here’s the scoop on making a sweet little light box, great for frit & powder work. We put this version to the test in a few recent workshops with Miriam Di Fiore and it passed with flying colors.